With traffic growing by 41 percent over the last five years, Sea-Tac Airport is now the ninth busiest airport in the US. 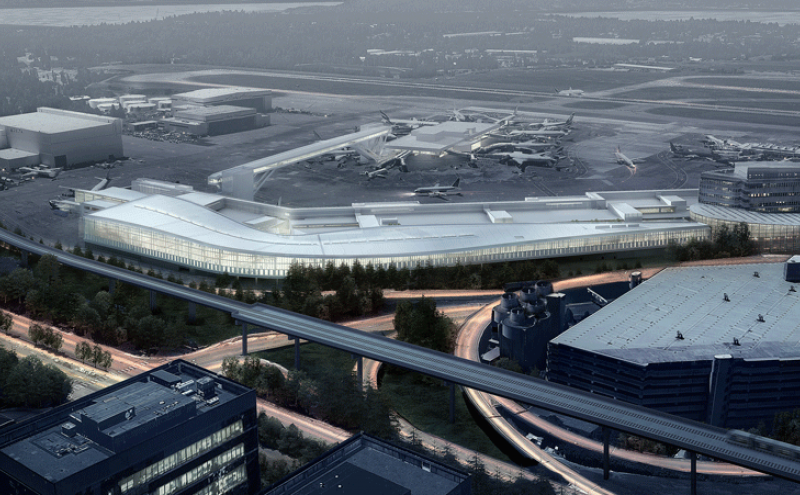 To meet its goal of increasing the number of international flights and destinations over the next 25 years, the Port of Seattle is building a new, 450,000 square-foot expanded International Arrivals Facility (IAF). This new facility will nearly double the international capable gates—increasing passenger capacity, increasing size and number of bag claim carousels, and ultimately reducing passenger connection time. During construction of the IAF, polychlorinated biphenyl (PCB)-contaminated soils were encountered at a former airline hangar maintenance building. This discovery initiated a remediation project within an active and congested construction site. Aspect and our teaming partner, DH Environmental, conducted environmental investigations and remediation in accordance with Toxic Substances Control Act PCB regulations. The Port used Aspect’s expertise in source identification and extent delineation, developing a conceptual site model, managing cleanup of PCB-contaminated soils, and navigating regulatory oversight by EPA and Ecology. Aspect also responded quickly to vapor intrusion concerns by evaluating vapor intrusion risk and designing a vapor barrier solution for potentially affected portions of the IAF. Groundwater downgradient from the source area was also evaluated to ensure the contaminants were not migrating via a groundwater pathway. No interruptions to the construction schedule or public usage occurred during the investigation and remediation activities. The IAF is on target to open in the last quarter of 2020 and welcome international travelers to the Seattle region. To complete these goals, PLIA hired a team of technical consultants to perform Preliminary Planning Assessments (PPAs) at UST sites throughout Washington state. Learn more about PPAs here and PLIA here. As a prime consultant for PLIA, Aspect is performing PPAs for petroleum-contaminated USTs sites statewide. The scope of the PPAs include reviewing existing data and reports to identify data gaps, completing remedial investigations to fill in data gaps with respect to contamination and exposure pathways, and recommending a cleanup strategy to help site owners achieve regulatory closure. The final PPA Report is intended to satisfy the Washington State regulatory requirements for remedial investigations and feasibility studies and select a preferred final remedy for each site based on input from multiple stakeholders. With Aspect’s help, PLIA’s revolving loan and grant program is an effective and efficient government funding model to support owners and operators meet financial responsibility and environmental cleanup requirements for USTs. Since 1928, Sandy and Linda Oen’s family have owned a service station and repair shop in Quilcene, WA. In 1997, they discovered a gasoline release at the site resulting from retail station operations and leaking USTs. Having been denied insurance coverage and any assistance from major oil companies, the Oen’s undertook the cleanup themselves. Between 1997 and 2004, investigation and cleanup activities included decommissioning of four USTs, excavating over 90 tons of petroleum impacted soil, and bioremediation of residual soil impacts. In the course of investigation and cleanup activities, the business was closed in 2001. In 2006, the Oen’s sought regulatory closure of the cleanup and entered the Washington State Department of Ecology’s Voluntary Cleanup Program. Ecology determined that further action was necessary to complete the site characterization and select a final remedy. In 2012, the Oen’s resumed work with their environmental consultant to perform a site assessment to determine whether soil impacts were remediated, but the mounting costs of the investigation and cleanup activities stalled further progress. In 2017, PLIA’s loan and grant program has allowed the Oen’s to work with Aspect to complete the remedial investigation and the results indicated that soil and groundwater at the site were in compliance with Washington State’s cleanup levels. Based on these findings, the site recently received a no further action determination from PLIA, thereby restoring the value to the property and bringing the site to closure for the Oen’s. In redeveloping a site adjacent to the Seattle Center grounds as the location of their new headquarters campus, the Bill and Melinda Gates Foundation negotiated a property transfer that obligated the Seattle Center to address groundwater remediation of the former vehicle maintenance site. Helping the Seattle Center meet the groundwater remediation obligations, Aspect led the groundwater assessment and remediation efforts with an emphasis on integrating cleanup into the redevelopment plans, designing a full-scale air sparging (AS) and soil vapor extraction (SVE) remediation system for phased installation. The first phase of AS/SVE was successfully installed in the pre-construction footprint and operated while the campus design and permitting process was completed. 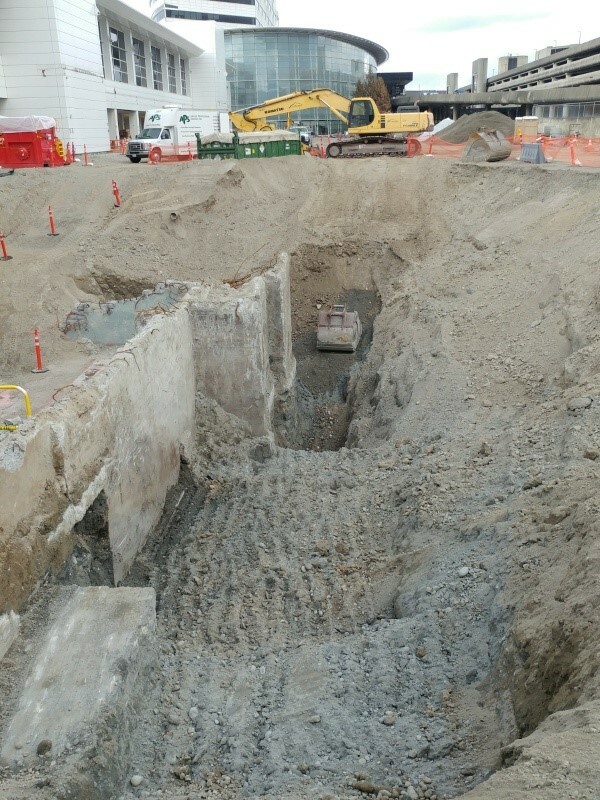 The second phase of the remedial system was installed within the active excavation footprint. By integrating the remediation system into the campus design, the second phase of the remedial action was designed to continue once the structure was completed. Seattle Art Museum (SAM) with the City of Seattle formed a public development authority to obtain remedial action grant funding for the cleanup and redevelopment of an 8-acre former fuel facility on the downtown Seattle waterfront for use as a park. As environmental lead, Aspect helped the development team incorporate the requirements of the Cleanup Action Plan (CAP) into the park design, integrating remedial elements into the infrastructure requirements. Many of the larger costs for park construction were covered as remediation expenses under remedial action match funding, providing substantial cost savings for the redevelopment project.